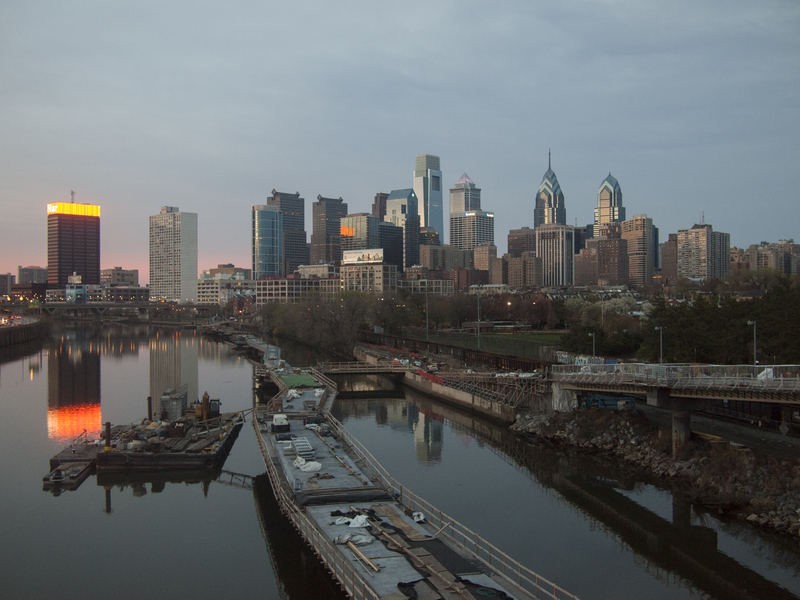 After a satisfying day of biking to record stores in search of #RSD14 releases and the annual Split Thy Skull barleywine festival at Tattooed Mom’s, I set my camera up on the South Street Bridge and took a photo every 15 seconds to capture a Philly sunset. 7:45 pm on the Schuylkill, 19 April 2014. 21 Apr	This entry was published on April 21, 2014 at 7:21 pm and is filed under Architecture, South Street Bridge Skyline, West Philly. Bookmark the permalink. Follow any comments here with the RSS feed for this post.